This handcrafted steel bell has a contemporary charm and a great tone. 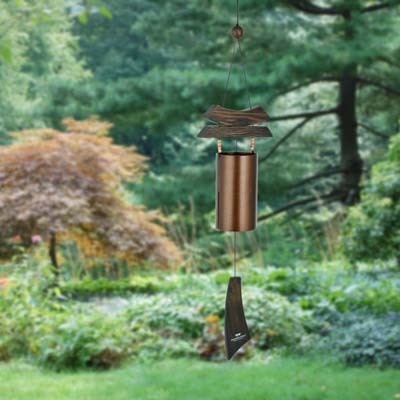 The Woodstock Heroic Windbell's enchanting sounds will be embraced whenever and wherever the wind blows. Genuine cowbell sound - all gussied up and ready to hang in your home. We have provided a sound file if you would like to hear this Bells beautiful sound. Materials: Antiqued copper powder-coated steel, Black wash finish pine wood, bead accents.